Companies can now use Google's cloud storage without signing up for G Suite. Up until now businesses that wanted to use Google Drive had to purchase a full G Suite subscription even if they didn't intend to use the rest of Google's productivity tools. However, now the company is offering a subscription to a standalone version of Google Drive for organisations that require cloud storage but are not quite ready to move all of their operations to the cloud. According to Google, a standalone version of Drive has been requested by many prospective customers and the new release is tailored specifically for them. The new version will include all of the same sharing features and online storage that come with the G Suite version. Pricing will be based on usage with Google charging $8 per month per active user and four cents for each GB stored on a company's drive. By releasing a standalone version of Drive, the company hopes to win over new customers who could eventually switch to a G Suite subscription. 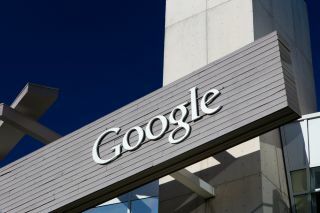 Although Google's new offering is also an acknowledgement that some businesses are not quite ready to give up Microsoft Office on their desktops. The new release comes at a time when Google's cloud storage platform is doing particularly well with Drive set to hit one billion users any day now.